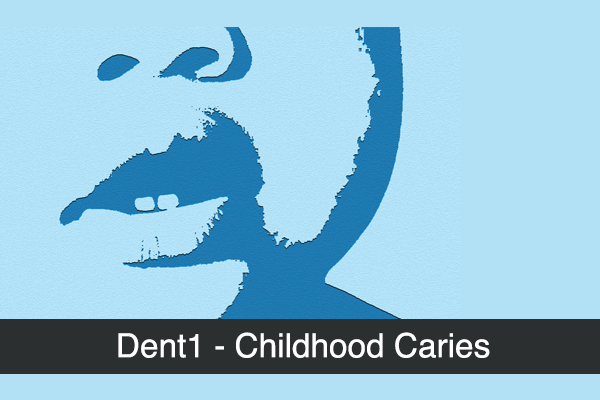 This study of dental caries comes from the University of Pittsburgh’s Center for Craniofacial and Dental Genetics and focuses on childhood caries. This study is part of the Gene Environment Association Studies initiative (GENEVA), which was developed through the trans-NIH Genes, Environment, and Health Initiative (GEI). Information on how to obtain individual level data is available on dbGaP. Genotyping and quality control details are available on dbGaP and are briefly described in Shaffer et al. [Genome-wide Association Scan for Childhood Caries Implicates Novel Genes, J Dent Res 90(12):1457-1462, 2011]. Dental caries is one of the most common diseases worldwide. In the US, the prevalence in adults is approximately 90% (Beltran-Aguilar et al., 2005), and in some high-risk populations, the prevalence is even higher. Treatment of dental caries consumes significant resources each year, and untreated caries lesions can lead to pain, tooth loss, and oral infection, or other co-morbidities. Cariogenesis is affected my numerous environmental, behavioral, and genetic factors, including dietary behaviors, bacterial flora, fluoride exposure, salivary factors, tooth morphology, etc. (Hunter, 1988; Anderson, 2002). 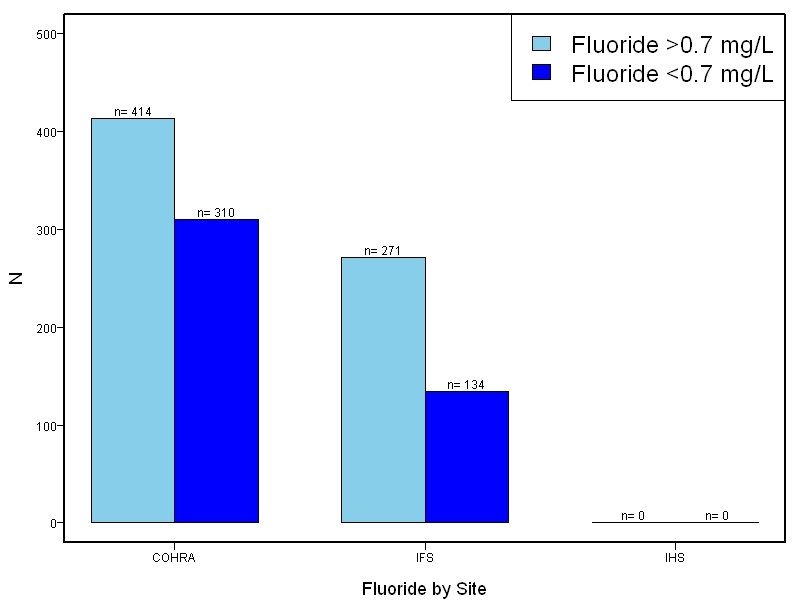 This study includes analyses stratified by fluoride exposure, to address the role of genes and gene-by-fluoride interactions in the etiology of this disease. Participants were drawn from three studies: the Center for Oral Health Research in Appalachia (COHRA) [Polk et al., 2008], the Iowa Fluoride Study (IFS) [Levy et al., 2003], and the Iowa Head Start Study (IHS). 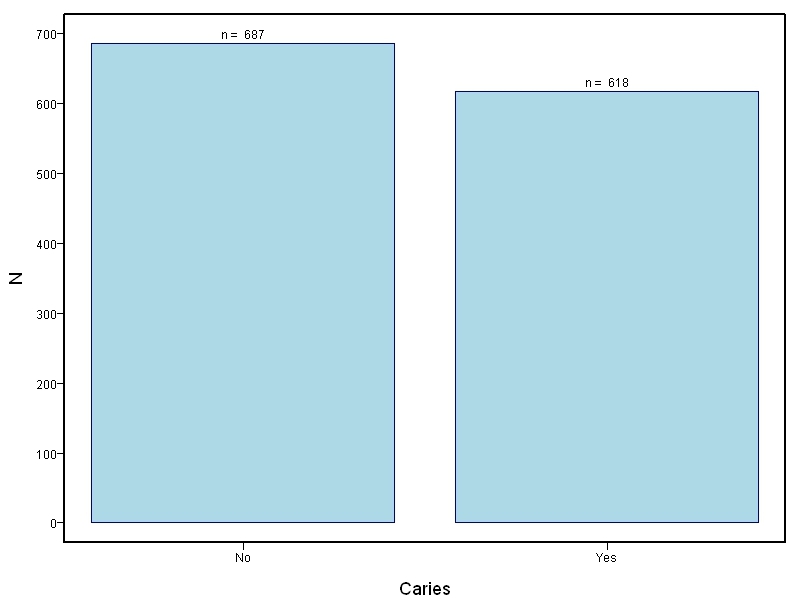 Primary dentition affection status (i.e., yes/no for dft score ≥ 1) was assessed by intra-oral examination and included white-spot lesions, which are the earliest clinically detectable caries lesions. Fluoride levels were obtained from samples of non-municipal and filtered home water sources or from the Iowa Department of Public Health (for unfiltered municipal water). 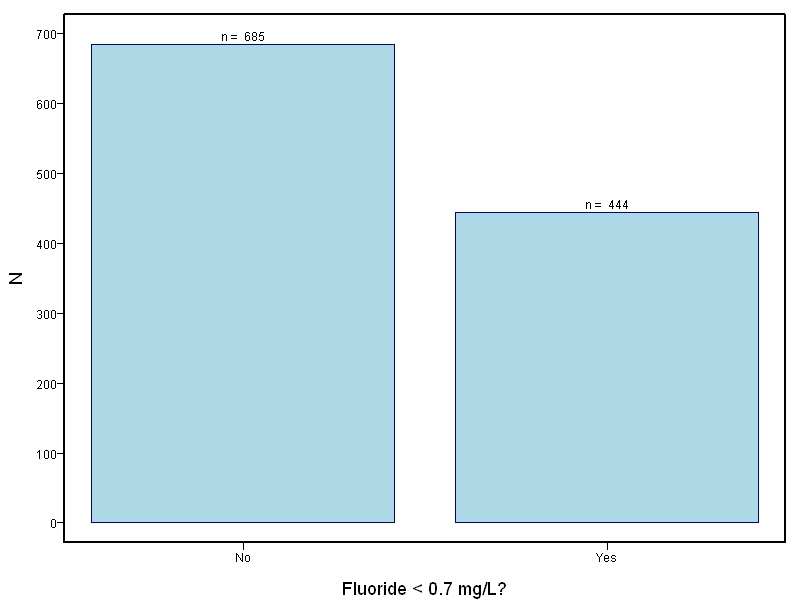 For purposes of stratification, fluoride exposure was dichotomized as low (< 0.7 mg/L) or sufficient (≥ 0.7 mg/L). 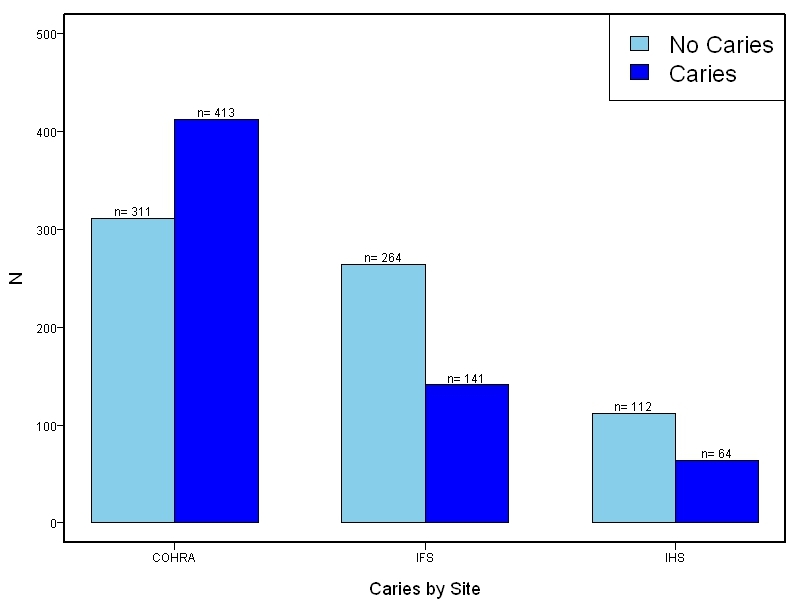 Association between caries scores and each SNP was tested using logistic regression in the full dataset or stratified by fluoride levels. All analyses were limited to self-reported whites with genetically verified European ancestry. The samples for this study come from participants the Center for Oral Health Research in Appalachia study, the Iowa Fluoride Study, and the Iowa Head Start Study. A traditional dft index was dichotomized into a binary trait for analysis. The dataset was also stratified by fluoride levels in home water sources. The results of this study can be explored as the full dataset or restricted to individuals with low fluoride or sufficient fluoride levels. All coordinates are mapped to the Imputed hg19 genome build. Please select one option from each of the categories. You must select one option from each available category to be able to submit the request. PMID: 21940522 "Genome-wide association scan for childhood caries implicates novel genes." PMID: 24810274 "Genetic Association of MPPED2 and ACTN2 with Dental Caries." PMID: 24556642 "Genome-wide association study of primary dentition pit-and-fissure and smooth surface caries."